Kobleco’s return to Intermat will see it launch a new version of its 5.5 tonne excavator which now features the company’s INDR low noise cooling system. In more general terms, Intermat will see the company launch its ‘Generation 10’ excavators in Europe, which have been updated from the previous series with Stage IV-compliant engines. Kobelco says it has reduced operating costs for these machines compared to the Generation 9 models with improved fuel efficiency. For example, the 21 tonne class SK210LC-10 is said to offer +6.7% more production in heavy mode at the same fuel consumption levels as the Generation 9 equivalent. Kobelco added that fuel consumption is reduced in Normal and Eco modes. The company has also looked to improve serviceability, with easy-to-replace canister-type hydraulic oil return filters and a new specification air cleaner inner element. New operator accessible diagnostics on the in-cab monitor have also been added, as have audible warnings for issues such as high hydraulic oil temperatures and clogged oil filters. 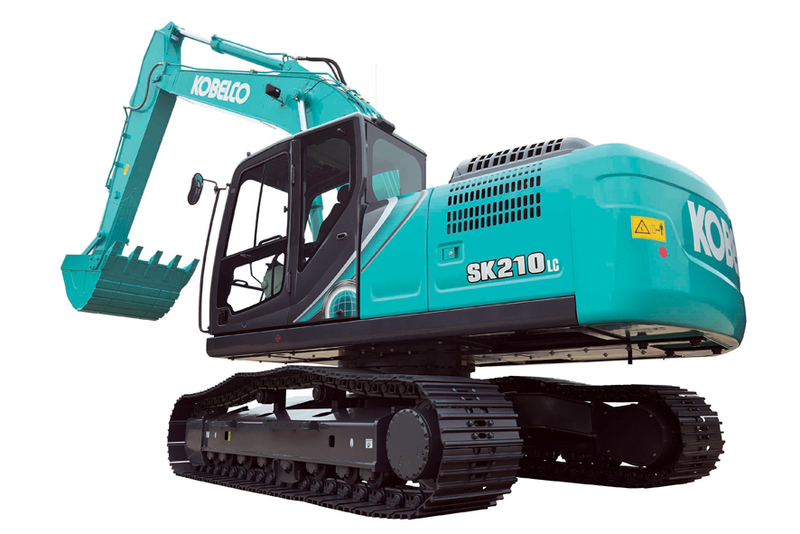 Kobelco’s Intermat stand will also feature an interesting variant on the standard SK210LC-10. The SK210D has been designed specifically for the task of dismantling old cars. The key elements of this are a multi-purpose rotating crusher attachment on the boom and a two-way clamp arm on the front of the machine, which holds the car chassis steady as it is being dismantled.